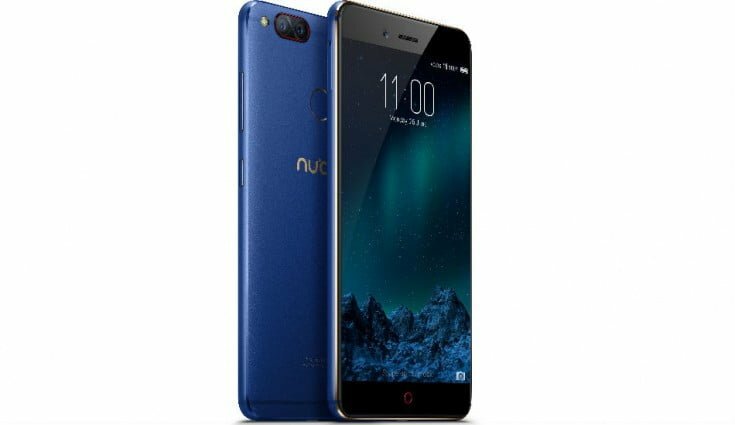 ZTE-owned Nubia brand of smartphone makers is all set to launch a new 6GB RAM variant of the Z17 Mini in India soon. Nubia had previously launched the Z17 Mini in both 4GB RAM and 6GB RAM options in China, however, introduced only the 4GB variant of the smartphone in India back in the month of June. Now, the 6GB of RAM variant of the Z17 Mini (Review) with is coming to India and will be available in a new Aurora Blue colour option. There is no official word on this 6GB variant of the device but the earlier 4GB variant was launched in the market with a price tag of Rs. 19,999. To recall, the Nubia Z17 Mini sports a 5.2-inch display with a Full-HD (1920 x 1080 pixels) resolution and a Corning Gorilla Glass on top for protection against scratches and dust. The device is internally powered by an octa-core 64-bit Qualcomm Snapdragon 652 processor and is shipped with 64GB of internal storage. The storage on board can be expanded further up to 200GB via a microSD card slot. It has to be noted that the new variant will come with 6GB of RAM and 128GB of internal storage, coupled with a slightly higher Qualcomm Snapdragon 653 chipset. On the software front, the Nubia Z17 Mini runs on Android 6.0 Marshmallow with the company’s own Nubia UI 4.0 skin on top. The device offers standard connectivity options such as Wi-Fi 802.11 b/g/n, Bluetooth 4.2, USB Type-C port for external connectivity, GPS, GLONASS, and 4G VoLTE support. When it comes to the camera department, the handset houses a dual-camera setup on the rear with a combination of two 13MP sensors accompanied by a LED flash. With f/2.2 apertures, one lens is the RGB sensor while the other is a Monochrome sensor. Additionally, there is a 16MP selfie-shooter with f/2.0 aperture and a wide-angle lens that sits on the front. The Nubia Z17 Mini is dual-SIM compatible and is backed by a non-removable 2,950mAh battery. The battery comes with NeoPower technology that the company claims to keep the phone up and running for two days on regular phone usage. A fingerprint sensor sits below the rear camera for unlocking the device.